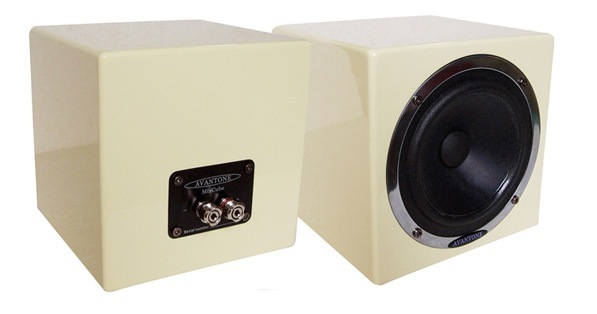 The Avantone MixCubes ($139 each) are a replica of an old studio standard the Auratone. The MixCubes are manufactured by Avant Electronics who also makes microphones. These speakers are extremely useful as a real world reference due to their limited frequency response and if you can get the mix sounding great on these speakers it will usually translate to most computer speakers, portable radios, MP3 players, iPods/iPhones and factory car systems. I use these speakers on every mix I do. One of the first projects on which I used the Mixcubes (the passive version) was Amy Winehouse' "Back To Black" album with producer Salaam Remi. The speakers emphasis on the midrange frequencies will let you hear any discrepancies in your mix immediately and I consider them essential for balancing vocals. I use only one speaker and monitor in mono to ensure the mix will translate to all mediums including radio and TV. Nowadays every TV is stereo capable but the broadcasts are not always in true stereo. One of the reasons these work so well for mixing is that they provide a single point source and they are pretty much flat across the entire midrange spectrum. There are no phase issues or frequency dips in the upper midrange due to the fact that there is no crossover in the signal path. As for the low end use your mains or subwoofer to check the extreme lows but make sure you can hear the kick and bass on the mixcubes. The Avantone MixCubes can be purchased at Little Fish Audio.